Trump: I'm supporting ... bipartisan criminal justice reform? The question mark in the headline is mine, not his. I just … can’t believe the following tweet might be accurate. But it might be. We’re a ways away from him legalizing weed. It’s a longshot. But not a zero shot. Not quite zero. How does a guy who ran as a strongman, Mr. Law and Order, who nudges cops to be a little rougher with criminal suspects than they need to be, who once called for the death penalty for the Central Park Five and hasn’t retracted to this day even though they’ve been proved innocent, turn around and endorse a broad criminal justice reform bill? Hey, I’m not complaining. This may end up being one of the best, and most consequential, things he does as president. But it’s confounding. It reminds me, in fact, of a piece James Kirchick wrote last year about Trump in the first few months of his administration. “Trump’s a fascist!” lefties would say. To which Kirchick, remembering an old line about Eisenhower, countered that “Trump’s not a fascist, he’s a golfer.” Meaning, despite his habit of sounding Duterte-ish at times, let us say, he’s not enough of an ideologue to follow authoritarianism to its logical ends. A fascist couldn’t be talked into championing reforms aimed at easing mandatory sentences and reintegrating criminals, of all people, into society. Certainly he couldn’t be talked into it by Jared Kushner. But a golfer could. The tentative legislative package, called the First Step Act, builds on a prison overhaul bill passed overwhelmingly this year by the House by adding changes that would begin to unwind some of the tough-on-crime federal policies of the 1980s and 1990s — which have incarcerated African-American offenders at much higher rates than white offenders. The changes include shortening mandatory minimum sentences for some nonviolent drug offenses and changing the “three strikes” penalty to 25 years from life in prison. They would give judges greater ability to use so-called safety valves to sidestep mandatory minimums in some cases. 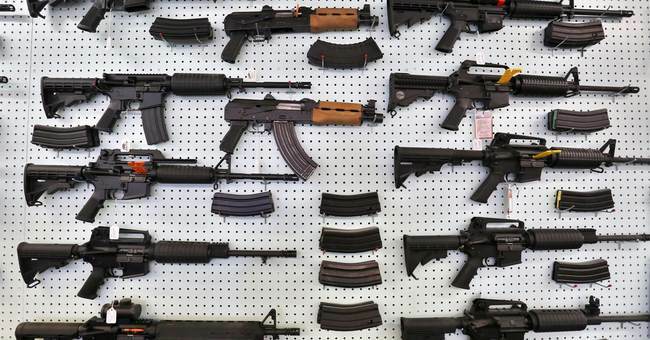 And the bill would clarify that the so-called stacking mechanism making it a federal crime to possess a firearm while committing another crime, like a drug offense, should apply only to individuals who have previously been convicted. The Fraternal Order of Police supports the bill. Between their backing and Trump’s, it’s a cinch to pass Congress, right? Well, hold on. Vox (yes, I know) has a nice deep dive into the politics of the First Step Act and the unusual coalition of opponents that’s arisen in the Senate. Kamala Harris and Cory Booker, lefties who’d normally be all-in on reform, are against this bill because it’s fairly modest in its ambitions. (E.g., only tweaks to sentencing.) They worry that if it passes, many fencesitters in Congress will conclude that the legislature has done enough on this subject and broader reforms aren’t needed. And they also worry, of course, that handing Trump a victory on a liberal priority will only complicate their lives in 2020. Meanwhile, some Republicans like Tom Cotton — maybe eyeing his own platform in 2024 — insist that the bill goes too far, that America needs to be tougher on crime, if anything. Other Republicans like Chuck Grassley actually agree with Harris and Booker that the bill needs to be broader. Whether McConnell can get to 60 with defectors on both sides is unclear. But support from Trump is hugely important potentially in providing cover to Republicans who’d otherwise worry about alienating Trump fans if they voted yes. Now that POTUS is onboard, they can’t be accused of being “soft on crime” without Trump being accused of the same. On a related question that asked about the seriousness of America’s crime problem, the share who said it was extremely or very serious dropped 10 points from last year to 49 percent, the first time it’s been under 50 since 2005. It’s surreal looking at the data on how stubborn Americans’ fears of crime have been for so many years, remembering the annual reports over the same period of how violent crime in major cities like New York had dropped to amazingly low rates after the highs of the early 90s. It’s also surprising seeing Americans feel better about crime now despite having a president who often plays up the threat, particularly from illegals and their Democratic fan base. It may be that Trump’s strongman persona is helping to reassure some worriers that the threat from crime has eased now that he’s in charge. If so, the criminal justice reform bill is a classic “only Nixon can go to China” moment. Ironically, his strongman image may have helped make otherwise skeptical parts of the population comfortable with the idea that we can afford to go a bit easier on some prisoners. Here he is today at the White House. In lieu of an exit question, read Mike Lee’s op-ed laying out the conservative case for justice reform.